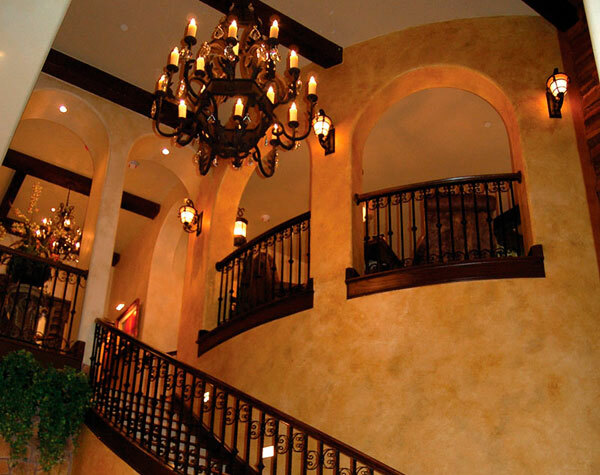 Venetian Gem® is an acrylic and marble dust based plaster developed to produce high quality multi-sheen and multi-colored decorative finishes. This easy to trowel on material provides durable wear, high hide and chemical resistance and may be burnished to bring out deep color soft sheens. Venetian Gem® may be tinted with FauxCreme Color™. Venetian Gem is good for both interior and exterior applications, but in some extreme weather and sun conditions should be topcoated with UV AquaThane. Available in many old world colors and beautiful jewel tone colors, as well as a color tinting base.